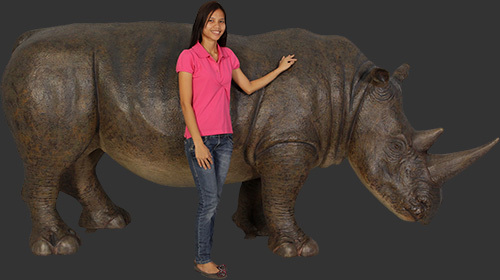 Rhinoceros / Fiberglass L x 124.25 in. W x 40.75 in. H x 58.75 in. 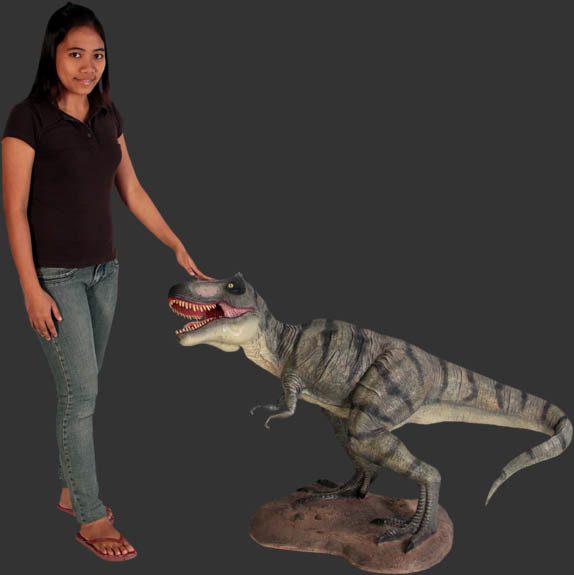 Definitive T-Rex / Fiberglass L x 43.75 in. W x 21.5 in. H x 30.5 in. 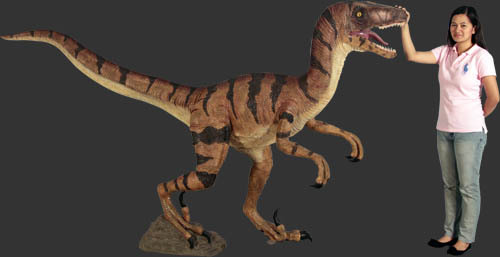 Velociraptor / Fiberglass L x 106 in. W x 23.75 in. H x 62 in. 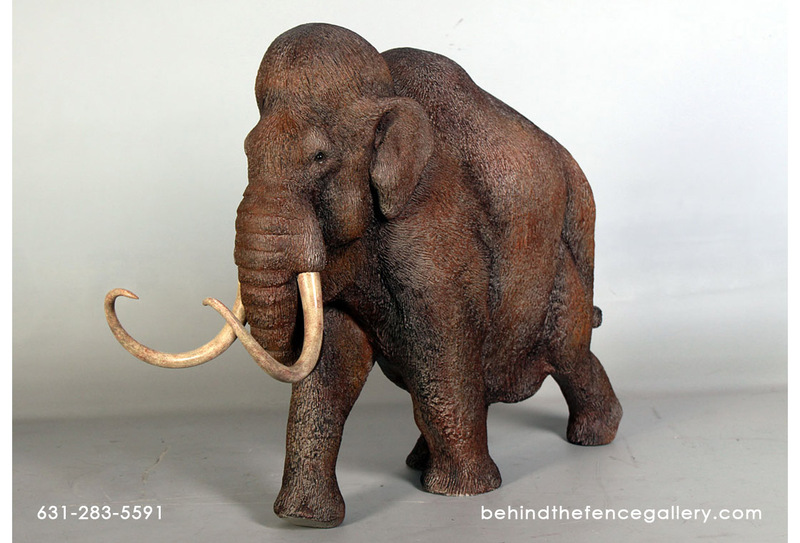 Mammoth / Fiberglass L x 27.5 in. W x 8.75 in. H x 19 in. 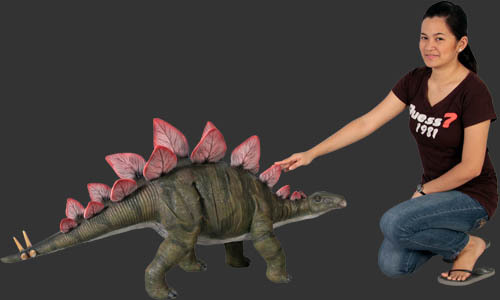 Definitive Stegosaurus / Fiberglass L x 49.25 in. W x 13 in. H x 23.5 in. 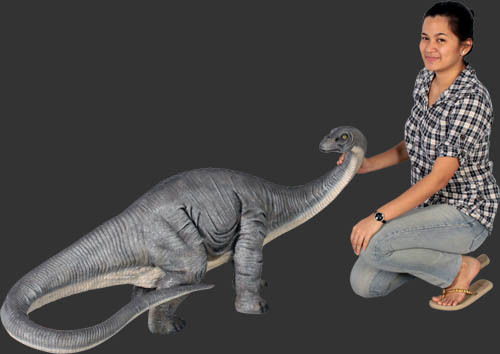 Definitive Apatosaurus / Fiberglass L x 51.25 in. W x 17.5 in. H x 24 in. 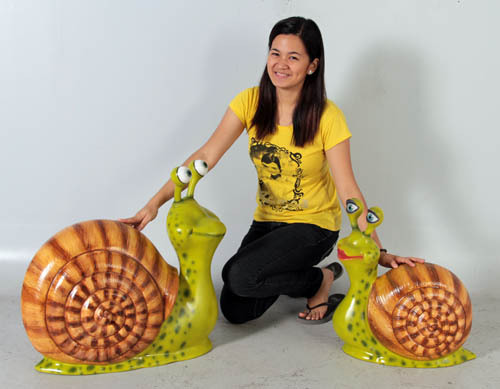 Female Snail / Fiberglass L x 18 in. W x 9.25 in. H x 19.5 in. 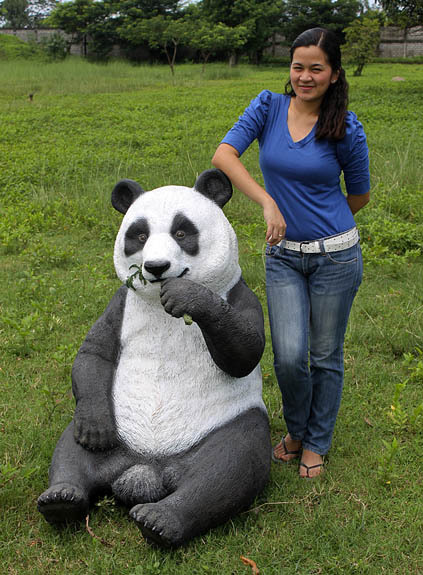 Eating Panda / Fiberglass L x 37.5 in. W x 27.5 in. H x 43 in. 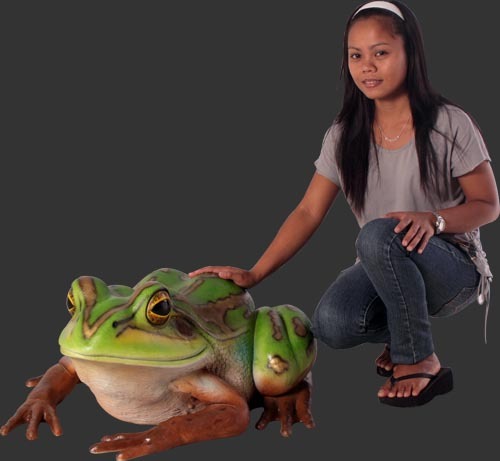 Giant Green and Golden Bell Frog / Fiberglass L x 32.5 in. W x 29.25 in. H x 13.25 in.